The Power of Docker and Containerization, from PaperCut | Industry Analysts, Inc.
A few years ago I was just as confused by all the shouting, and could not tell the difference between an image or a container. 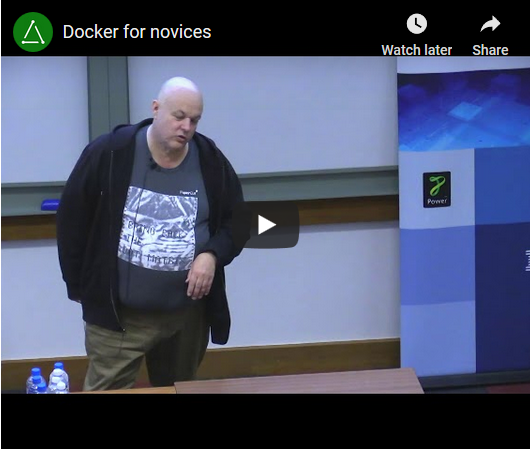 But I’m now happy to say I’ve got a much better understanding of what Docker is, so I thought I’d create a few simple notes to help you avoid my confusion and understand the benefits (and potential pitfalls) of using Docker. Docker is a containerization product (and it’s also the company that supply the product). It’s Open Source and you can do an awful lot with the Community Edition. There are paid for versions as well if you want commercial support or enterprise features. This entry was posted in PaperCut and tagged Containerization, Docker, it, papercut, print management by IA Staff. Bookmark the permalink.